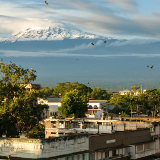 The Kilimanjaro Region is, with its scattered population of just over 1.6 million, the ideal stopover for anyone who wishes to take in the unique wonders of East Africa, and to immerse themselves in the vibrant communities and miles of untouched natural beauty that surround this famous mountain’s base and lower slopes. And for a limited time, cheap flights to Kilimanjaro are now available; seize your chance to visit this icon of the natural world today! Kilimanjaro is home to Kilimanjaro International Airport (JRO), located about 45 minutes’ drive from the regional capital, Moshi. It’s an obvious one; but the experience of hiking even a slight way up the slopes of Kilimanjaro is something that draws visitors from around the globe. Miles of unspoiled, distinctly African natural beauty surround the base of this world-famous mountain. 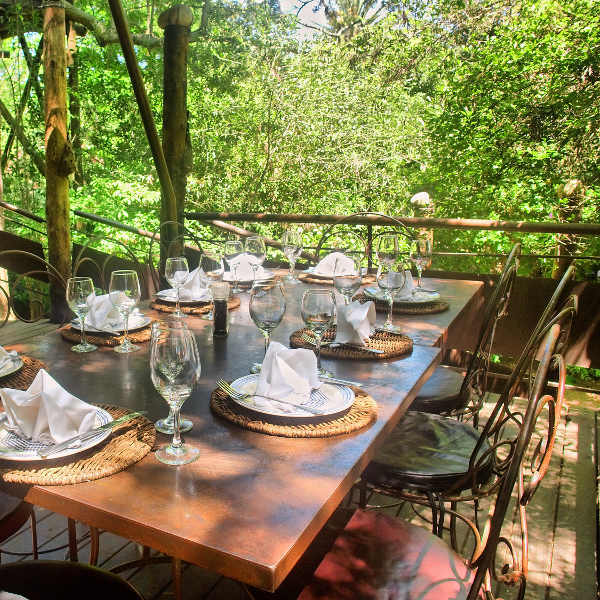 The towns and communities around Kilimanjaro boast a wide variety of restaurants and cafes. Whether your holiday plans involve hiking up the rocky slopes of Kilimanjaro, enjoying the local beers in the quiet pubs of Moshi, or anything in between, you’ll need to ensure that you swing by at a time that best suits your needs. June to September, the months which boast both the (relatively speaking) lowest temperatures and rainfall, stand out as the most popular among tourists. They’re the best time to visit if you fancy a drier sort of holiday, and don’t mind not quite having the place entirely to yourself. The months of roughly December to March, meanwhile, boast slightly higher temperatures, notably higher precipitation, and lower rates of tourism. If you’d like to avoid the crowds and get better accommodation deals, this is the time to come; but you’d better be prepared to face the damp. Though its name brings to mind gruelling, arduous hikes up one of the world’s tallest peaks, attempted only by the hardiest of explorers, the Kilimanjaro region is, in truth, perfect for anyone with a love for the wonders of East Africa, regardless of their physical capacity. 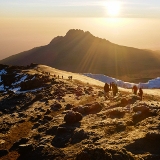 Explore the miles of lush and preserved natural beauty that flourish around the famed Mount Kilimanjaro, mingle with the vibrant communities living upon its slopes, or, if you’re feeling daring, grab your gear, and see how far you can get up the slopes of this towering peak. Wherever your particular explorations may take you, Kilimanjaro provides all the breath-taking adventure so often associated with its name. 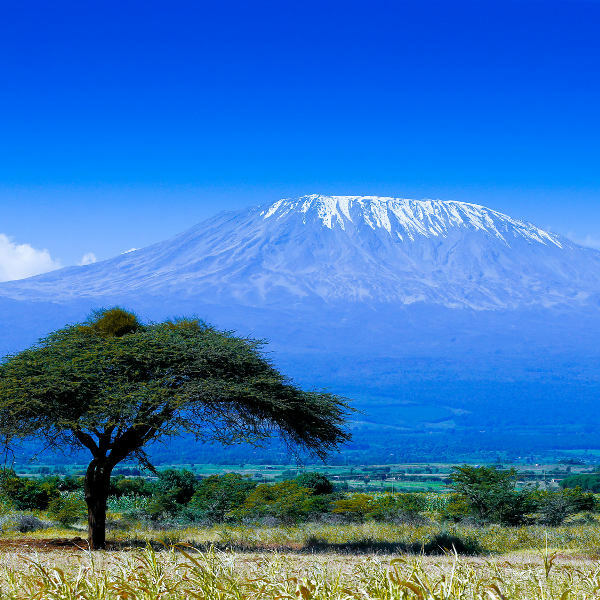 Compare several airlines, and book your cheap flights to Kilimanjaro online with Travelstart! The Centre for Disease Control recommends that all travellers to Tanzania ensure that they are up to date with all their routine vaccinations, and that, in addition, they receive immunisations against hepititas A and typhoid, both of which have a chance of being spread via contaminated food or water. 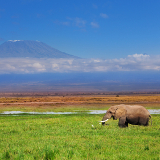 Crime is relatively low in this sparsely populated region; however, anyone spending a significant amount of time out in the Tanzanian wilds – and, in particular, anyone endeavouring to hike up Kilimanjaro – should take care to ensure that they are fully equipped for the task, and that they receive comprehensive advice from professionals regarding how they ought to prepare. The question of where to stay in the Kilimanjaro region is a slightly complicated one, since it depends just what kind of experience you’re after. If you’re looking to experience the region’s beauty from the comfort of the indoors, the various towns around the mountain offer no end of accommodation options – the capital town of Moshi, in particular, boasts a wide variety of highly affordable establishments, with prices varying from just over TSh 222584 to as little as under TSh 17121. If, however, you’re looking to fully immerse yourself in the region’s wild wonders, a number of designated campsites are available. 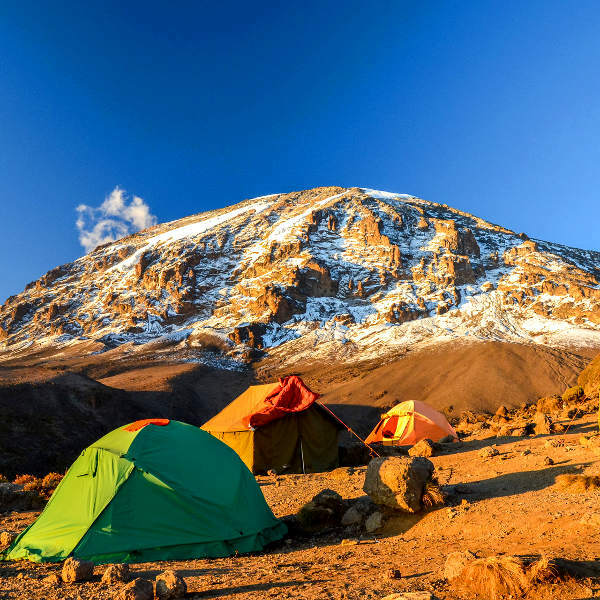 On Mount Kilimanjaro itself, in particular, camping for as long as you need is permitted as long as you have paid the designated fees – plus it’s an opportunity to meet fellow hiking enthusiasts. Like in many African countries, minibus taxis – here called “dalla-dallas” – are pretty ubiquitous. They’re affordable, and generally offer friendly service; but it’s best to avoid getting on one that’s too crowded. It’s less safe, and unnecessary – there’ll almost certainly be another one along soon. Somewhat more popular among tourists are the local bus companies. Several of them – such as Dar Express – are noted as reputable, safe, and comfortable. Still, it’s best to ask your hotel just which busses are the most recommended. And of course, many of the small communities around the mountain are small enough to explore on foot. There’s no better way to truly drink in the local culture, after all.